Laurence J. Kirmayer, MD, FRCPC, FCAHS, FRSC is James McGill Professor and Director, Division of Social and Transcultural Psychiatry, Department of Psychiatry, McGill University and Co-director of the Culture, Mind and Brain Program, McGill University. 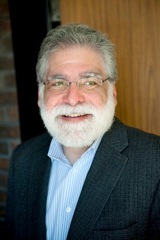 He is Editor-in-Chief of Transcultural Psychiatry, and Director of the Culture & Mental Health Research Unit at the Institute of Community and Family Psychiatry, Jewish General Hospital in Montreal, where he conducts research on culturally responsive mental health services for immigrants and refugees, the mental health of Indigenous peoples, and the philosophy of psychiatry. He founded and directs the annual Summer Program and Advanced Study Institute in Cultural Psychiatry at McGill. He also founded and directs the Network for Aboriginal Mental Health Research. His past research includes studies on cultural consultation, pathways and barriers to mental health care for immigrants and refugees, somatization in primary care, cultural concepts of mental health and illness in Inuit communities, risk and protective factors for suicide among Inuit youth, and resilience among Indigenous peoples. Current projects include: mental health promotion for Indigenous youth; the integration of ethnography and neuroscience in global mental health; and models of mental health services for multicultural societies. He co-edited the volumes: Understanding Trauma: Integrating Biological, Clinical, and Cultural Perspectives (Cambridge University Press), and Healing Traditions: The Mental Health of Aboriginal Peoples in Canada (University of British Columbia Press); Cultural Consultation: Encountering the Other in Mental Health Care (Springer); the DSM-5 Handbook for the Cultural Formulation Interview (APPI): and Re-Visioning Psychiatry: Cultural Phenomenology, Critical Neuroscience and Global Mental Health (Cambridge) . He is a Fellow of the Canadian Academy of Health Sciences and the Royal Society of Canada. Kirmayer, L.J., Gomez-Carrillo, A., & Veissière, S. (2017). Culture and depression in global mental health: An ecosocial approach to the phenomenology of psychiatric disorders. Social Science and Medicine, 183: 163-168. Skogli, H-R, Geoffroy, D., Weiler, H.A., Tell, G.S., Kirmayer, L.J., Egeland, G.M. (2017), Associations between omega-3 fatty acids and 25(OH)D and psychological distress among Inuit in Canada. International Journal of Circumpolar Health, 76, 1302684. Adeponle, A., Groleau, D. Kola, L., Kirmayer, L.J. & Gureje, O. (2017). Perinatal depression in Nigeria: Perspectives of women, family caregivers and health care providers. International Journal of Mental Health Systems, 11: 27. Lewis-Fernández, R., Aggarwal, N.K., Lam, P., Galfalvy, H., Weiss, M.G., Kirmayer, L.J., Paralikar, V., Deshpande, S.N., Diaz, E., Nicasio, A.V., Boiler, M., Alarón, R.D., Rohlof, H., Groen, S., van Dijk, R.C.J., Jadhav, S., Sarmukaddam, S., Ndetei, D., Scalco, M.Z., Bassiri, K., Aguilar-Gaxiola, S., Ton, H., Westermeyer, J., Vega-Deinstmaier, J.M. Feasibility, acceptability, and clinical utility of the Cultural Formulation Interview: Mixed-methods results from the DSM-5 international field trial. (2017). British Journal of Psychiatry April 2017, 210 (4): 290-297. Kirmayer, L.J., & Ryder, A. (2016). Culture and psychopathology. Current Opinion in Psychology, 8: 143-148. Na, S., Ryder, A. & Kirmayer, L.J. (2016). Toward a culturally responsive model of mental health literacy: Facilitating help-seeking among East Asian immigrants to North America. American Journal of Community Psychology, 58(1-2), 211-225. Hassan, G., Ventvoegel, P., Jeffee-Bahloul, H., Barkil-Oteo, A., & Kirmayer, L.J. (2016). Mental health and psychosocial wellbeing of Syrians affected by armed conflict. Epidemiology and Psychiatric Sciences, 25(2): 129-141. Pottie, K., Greenaway, C., Hassan, G., Hui, C. & Kirmayer, L.J. (2016). Caring for a newly arrived Syrian refugee family. Canadian Medical Association Journal, 188(3): 207-211. Aggarwal, N.K., Lam, P., Castillo, E., Weiss, M.G., Diaz, E., Alarcón, R.D., van Dijk, R., Rohlof, H., Ndetei, D.M., Scalco, M., Aguilar-Gaxiola, S., Bassiri, K., Despande, S., Groen, S., Jadhav, S. Kirmayer, L.J., Paralikar, C., Westermeyer, J., Santos, F., Vega-Dienstmaier, J., Anez, L., Boiler, M., Nicasio, A.V. & Lewis-Fernández, R. (2016). How do clinicians prefer cultural competence training? Findings from the DSM-5 Cultural Formulation Interview Field Trials. Academic Psychiatry, 40(4): 584-591. Paris, J. & Kirmayer, L. J. (2016). The National Institute of Mental Health Research Domain Criteria: A bridge too far. Journal of Nervous and Mental Disease, 204(1): 26-32. Kirmayer, L.J. (2015). Mindfulness in cultural context. Transcultural Psychiatry, 52(4): 447-469. Ryder, A.G., Sunohara, M., & Kirmayer, L.J. (2015). Culture and personality disorder: From a fragmented literature to a contextually-grounded alternative. Current Opinion in Psychiatry, 29(1): 40-45. Dabby, L., Tranulis, C., & Kirmayer, L. J. (2015). Explicit and implicit attitudes of Canadian physicians toward people with mental illness. Canadian Journal of Psychiatry, 60(10): 451-459. Chachamovich, E. Kirmayer L. J., Haggarty J., Cargo M., McCormick, R., Hicks, J., Turecki, G. (2015). Suicide among Inuit: Results from a large, epidemiologically representative follow-back study in Nunavut. Canadian Journal of Psychiatry, 60(6): 268-275. Anderson, K.K., Flora, N., Ferrari, M., Tuck, A., Archie, S., Kidd, S., Tang, T., Kirmayer L. J., McKenzie, K. on behalf of the ACE Project Team). (2015). Pathways to first-episode care for psychosis in African, Caribbean, and European origin groups in Ontario. Canadian Journal of Psychiatry, 60(5); 223-231. Choudhury, S., McKinney, K., & Kirmayer, L. J. (2015). “Learning how to deal with feelings differently”: Psychotropic medications as vehicles of socialization in adolescence. Social Science and Medicine, 143: 311-319. Cloninger, C.R., Salvador-Carulla, L., Kirmayer, L. J., Schwartz, M.A., Appleyard, J., Goodwin, N., Groves, J. Hermans, M.H.M., Mezzich, J.E., van Staden, C.W., & Rawaf, S. (2015). A time for action on health inequities: Foundations of the 2014 Geneva Declaration on Person- and People-centered Integrated Health Care for All. International Journal of Person Centered Medicine, 4(2): 69-89. Adeponle, A., Groleau, D., & Kirmayer, L. J. (2015). Clinician reasoning in the use of cultural formulation to resolve uncertainty in the diagnosis of psychosis. Culture, Medicine and Psychiatry, 39(1): 16-42. Fraser, S.L., Geoffroy, D., Chachamovich, E., & Kirmayer, L. J. (2015). Changing rates of suicide ideation and attempts among Inuit youth: A gender-based analysis of risk and protective factors. Suicide and Life-Threatening Behavior, 45(1): 141-156. Sapkota, R.P., Gurung, D., Neupane, D., Shah, S., Kienzler, H. & Kirmayer, L. J. (2014). A village possessed by “witches”: A mixed-methods, case-control study of possession and common mental disorders in Nepal. Culture, Medicine and Psychiatry, 38(4): 642-668. Kirmayer, L.J., & Crafa, D. (2014). What kind of science for psychiatry? Frontiers in Human Neuroscience, 8: 435, doi: 10.3389/fnhum.2014.00435. Lewis-Fernández, R., Aggarwal, N.K., Bäärnhielm, S., Rohlof, H., Kirmayer, L. J., Weiss, M., Jadhav, S., Hinton, L., Alarcón, R.D., Bhugra, D., Groen, S., van Dyjk, R., Qureshi, A., Collazos, F., Rousseau, C., Caballero, L., Ramos, M., & Lu, F. (2014). Culture and psychiatric evaluation: Operationalizing cultural formulation for DSM-5. Psychiatry, 77(2): 130-154. Nath, Y. Paris, J., Thombs, B.D. & Kirmayer, L. J. (2014). Prevalence and social determinants of suicidal behaviors among college youth in India. International Journal of Social Psychiatry, 6(3): 236-249. [epub Oct 20, 2011]. Kirmayer, L. J., & Ban, L. (2013). Cultural psychiatry: research strategies and future directions. Adv Psychosom Med, 33, 97-114. Kirmayer, L. J., Raikhel, E., & Rahimi, S. (2013). Cultures of the Internet: identity, community and mental health. Transcult Psychiatry, 50(2), 165-191. Kirmayer, L. J., Fung, K., Rousseau, C., Lo, H. T., Menzies, P., Guzder, J., Ganesan, S., Andermann, L., & McKenzie, K. (2012). Guidelines for training in cultural psychiatry. Canadian Journal of Psychiatry, 57(3), Insert 1-16. Kirmayer, L. J. (2012). Changing patterns in suicide among young people. CMAJ, 184(9). Kirmayer, L. J. (2012). Rethinking cultural competence. Transcult Psychiatry, 49(2), 149-164. Dinh, M. H., Groleau, D., Kirmayer, L. J., Rodriguez, C., & Bibeau, G. (2012). Influence of the DSM-IV Outline for Cultural Formulation on multidisciplinary case conferences in mental health. Anthropology & Medicine, 19(2), 261-276. Kirmayer, L. J. (2012). Cultural competence and evidence-based practice in mental health: Epistemic communities and the politics of pluralism. Soc Sci Med, 75, 249-256. Adeponle, A. B., Thombs, B. D., Groleau, D., Jarvis, E., & Kirmayer, L. J. (2012). Using the cultural formulation to resolve uncertainty in diagnoses of psychosis among ethnoculturally diverse patients. Psychiatric Services, 63(2), 147-153. Kirmayer, L. J., Narasiah, L., Muniz, M., Rashid, M., Ryder, A., Guzder, J., et al. (2011). Common mental health problems in immigrants and refugees: General approach to the patient in primary care. Canadian Medical Association Journal, 183(12). Kirmayer, L. J. (2011). Les politiques de l’altérité dans la rencontre clinique [The politics of alterity in the clinical encounter]. L'Autre: Cliniques, Cultures et Sociétés, 12(1), 16-29. Kirmayer, L. J. (2011). Multicultural medicine and the politics of recognition. Journal of Medicine and Philosophy, 36(410-463. Kirmayer, L. J. (2011). Defining and delimiting trauma-related dissociation: a view from cultural psychiatry. Journal of trauma & dissociation, 12(4), 465-468. Kirmayer, L. J., Dandeneau, S., Marshall, E., Phillips, M. K., & Williamson, K. J. (2011). Rethinking resilience from indigenous perspectives. Canadian Journal of Psychiatry, 56(2), 84-91. Afana, A.-H., Pedersen, D., Rønsbo, H., & Kirmayer, L. J. (2010). "Endurance is to be shown at the first blow": Social representations and reactions to traumatic experiences in the Gaza strip. Traumatology, 16(4), 73-84. Choudhury, S., Gold, I., & Kirmayer, L. J. (2010). From brain image to the Bush Doctrine: Critical neuroscience and the political uses of neurotechnology. American Journal of Bioethics Neuroscience, 1(1), 17-19. Dere, J., Ryder, A. G., & Kirmayer, L. J. (2010). Bidimensional measurement of acculturation in a multiethinic sample of first-generation immigrants. Canadian Journal of Behavioural Science, 42(2), 134-138. Hickling, F. W., Guzder, J., Robertson-Hickling, H., Snow, S., & Kirmayer, L. J. (2010). Psychic centrality: reflections on two psychohistoriographic cultural therapy workshops in Montreal. Transcultural Psychiatry, 47(1), 136-158. Kirmayer, L. J. (2010). Peace, conflict, and reconciliation: contributions of cultural psychiatry. Transcultural Psychiatry, 47(1), 5-19. Lee, B. O., Kirmayer, L. J., & Groleau, D. (2010). Therapeutic Processes and Perceived Helpfulness of Dang-Ki (Chinese Shamanism) from the Symbolic Healing Perspective. Cultural Medicine & Psychiatry, 34(1), 56-105. Mezzich, J. E., Salloum, I. M., Cloninger, C. R., Salvador-Carulla, L., Kirmayer, L. J., Banzato, C. E. M., et al. (2010). Person-centered Integrative Diagnosis: Conceptual basis and structural model. Canadian Journal of Psychiatry, 55(11), 701-708. Pierre, A., Minn, P., Sterlin, C., Annoual, P. C., Jaimes, A., Raphaël, F., et al. (2010). Culture and Mental Health in Haiti: A Literature Review. Santé Mentale en Haïti, 1(1), 13-42. Rousseau, C., & Kirmayer, L. J. (2010). From complicity to advocacy: the necessity of refugee research. American Journal of Bioethics, 10(2), 65-67. Thombs, B. D., Adeponle, A. B., Kirmayer, L. J., & Morgan, J. F. (2010). A brief scale to assess hospital doctors' attitudes toward collaborative care for mental health. Canadian Journal of Psychiatry, 55(4), 264-267. Tiessen, M., Taylor, D. M., & Kirmayer, L. J. (2010). A key individual-to-community link: The impact of perceived collective control on Aboriginal youth well-being. Pimatisiwin: A Journal of Indigenous and Aboriginal Community Health, 7(2), 241-267. Choudhury, S., & Kirmayer, L. J. (2009). Cultural neuroscience and psychopathology: prospects for cultural psychiatry. Progress in Brain Research, 178, 261-281. Kirmayer, L. J. (2009). Nightmares, Neurophenomenology and the Cultural Logic of Trauma. Cultural Medicine & Psychiatry, 33, 323-331. Kirmayer, L. J., & Raikhel, E. (2009). From Amrita to substance D: psychopharmacology, political economy, and technologies of the self. Transcultural Psychiatry, 46(1), 5-15. Mezzich, J. E., Caracci, G., Fabrega, H., Jr., & Kirmayer, L. J. (2009). Cultural formulation guidelines. Transcultural Psychiatry, 46(3), 383-405. Kirmayer, L. J. (2008). Empathy and alterity in cultural psychiatry. Ethos, 36(4), 457-474. Kirmayer, L. J. (2008). Culture and the metaphoric mediation of pain. Transcultural Psychiatry, 45(2), 318-338. Kirmayer, L. J., Thombs, B. D., Jurcik, T., Jarvis, G. E., & Guzder, J. (2008). Use of an expanded version of the DSM-IV outline for cultural formulation on a cultural consultation service. Psychiatric Services, 59(6), 683-686. Seligman, R., & Kirmayer, L. J. (2008). Dissociative experience and cultural neuroscience: narrative, metaphor and mechanism. Cultural Medicine & Psychiatry, 32(1), 31-64. Kirmayer, L. J. (2007). Celan's poetics of alterity: Lyric and the understanding of illness experience in medical ethics. Monash Bioethics Review, 26(4), 21-35. Kirmayer, L. J., Rousseau, C., & Lashley, M. (2007). The place of culture in forensic psychiatry. Journal of American Academy of Psychiatry and the Law, 35(1), 98-102. Kirmayer, L. J., & Sartorius, N. (2007). Cultural models and somatic syndromes. Psychosomatic Medicine, 69(9), 832-840. Kirmayer, L. J., Weinfeld, M., Burgos, G., du Fort, G. G., Lasry, J. C., & Young, A. (2007). Use of health care services for psychological distress by immigrants in an urban multicultural milieu. Canadian Journal of Psychiatry, 52(5), 295-304. Kirmayer, L. J. (2006). Beyond the 'new cross-cultural psychiatry': cultural biology, discursive psychology and the ironies of globalization. Transcultural Psychiatry, 43(1), 126-144. Kirmayer, L. J. (2006). Toward a medicine of the imagination. New Literary History, 37(3), 583-605. Miresco, M. J., & Kirmayer, L. J. (2006). The persistence of mind-brain dualism in psychiatric reasoning about clinical scenarios. American Journal of Psychiatry, 163(5), 913-918. Kirmayer, L. J. (2005). Culture, context and experience in psychiatric diagnosis. Psychopathology, 38(4), 192-196. Mayou, R., Kirmayer, L. J., Simon, G., Kroenke, K., & Sharpe, M. (2005). Somatoform disorders: time for a new approach in DSM-V. American Journal of Psychiatry, 162(5), 847-855. Kirmayer, L.J., & Ramstead, M.J.D. (2017). Embodiment and enactment in cultural psychiatry. In: C. Durt, T. Fuchs, & C. Tewes (Eds.) Embodiment, Enactment and Culture: Investigating the Constitution of the Shared World (pp. 397-422). Cambridge, MA: MIT Press. Lewis-Fernández, R.L., Kirmayer, L.J., Guarnaccia, P., & Ruiz, P. (2017). Cultural concepts of distress. In: Sadock, B., Sadock, V. & Ruiz, P. (Eds.) Comprehensive Textbook of Psychiatry. New York: Lippincott, Williams & Wilkins. Kirmayer, L.J., Mezzich, J. & Van Staden, W. (2016). Health experience and values. In: J. Mezzich, M. Botbol, G. Christodoulou, C.R. Cloninger, & I. Salloum (Eds.). Person-Centered Psychiatry (pp. 179-199), Heidelberg: Springer Verlag. Kirmayer, L.J., Bennegadi, R. & Kastrup, M. (2016). Cultural awareness and responsiveness in person-centered psychiatry. In: J. Mezzich, M. Botbol, G. Christodoulou, C.R. Cloninger, & I. Salloum (Eds.). Person-Centered Psychiatry (pp. 77-95), Heidelberg: Springer Verlag. Kirmayer, L.J., Sheiner, E. & Geoffroy, D. (2016). Mental health promotion for Indigenous youth. In: M. Hodes & S. Gau (Eds.) Positive Mental Health for Children and Adolescents: Fighting Stigma, Promoting Resiliency and Positive Mental Health (pp. 111-140). Amsterdam: Elsevier/Academic Press. Kirmayer, L. J., Rousseau, C., Jarvis, G.E. & Guzder, J. (2016).The cultural context of clinical assessment. In: Tasman, A., Kay. J., Lieberman, J. First M.B., & Riba, M. (eds.) Psychiatry, (Fourth edition), (pp. 56-70). New York: John Wiley & Sons. Kirmayer, L. J. (2016). Unpacking the placebo response: Insights from ethnographic studies of healing. In: A. Raz & C. Harris (Eds.) Placebo Talks: Modern Perspectives on Placebos in Society (pp. 119-143). New York: Oxford University Press. Seligman, R., Choudhury, S. & Kirmayer, L. J. (2016). Locating culture in the brain and in the world: From social categories to the ecology of mind. In: J. Chiao, Li, S-C., Seligman, R. & Turner, R. (Eds.) Handbook of Cultural Neuroscience (pp. 3-20), New York: Oxford University Press. Kirmayer, L. J. (2015).Re-visioning psychiatry: Toward an ecology of mind in health and illness. In: Kirmayer, L.J., Lemelson, R. & Cummings, C. (Eds.) Re-visioning Psychiatry: Cultural Phenomenology, Critical Neuroscience and Global Mental Health (pp. 622-660). New York: Cambridge University Press. Kirmayer, L. J. (2015).Empathy and alterity in psychiatry. In: Kirmayer, L.J., Lemelson, R. & Cummings, C. (Eds.) Re-visioning Psychiatry: Cultural Phenomenology, Critical Neuroscience and Global Mental Health (pp. 141-167). New York: Cambridge University Press. Kirmayer, L. J., Lemelson, R. & Cummings, C. (2015). Introduction: Psychiatry at a crossroads. In: Kirmayer, L.J., Lemelson, R. & Cummings, C. (Eds.) Re-visioning Psychiatry: Cultural Phenomenology, Critical Neuroscience and Global Mental Health (pp. 1-38). New York: Cambridge University Press. Kirmayer, L. J. (2015).The future of cultural formulation. In: Lewis- Fernández, R., Aggarwal, N.K., Hinton, L., Hinton, D. & Kirmayer, L.J. (Eds.) DSM-5 Handbook on the Cultural Formulation Interview (pp. 267-285), Washington: APPI Press. Hinton, D.E., Lewis-Fernández, R.L., Kirmayer, L. J. & Weiss, M.G. (2015).Supplementary modules 1: Explanatory Model. In: Lewis-Fernandez, R., Aggarwal, N.K., Hinton, L., Hinton, D. & Kirmayer, L.J. (Eds.) DSM-5 Handbook on the Cultural Formulation Interview (pp. 56-67), Washington: APPI Press. Lewis-Fernández, R.L., Aggarwal, N.K. & Kirmayer, L. J. (2015).Cultural formulation before DSM-5. In: Lewis-Fernandez, R., Aggarwal, N.K., Hinton, L., Hinton, D. & Kirmayer, L.J. (Eds.) DSM-5 Handbook on the Cultural Formulation Interview (pp. 1-28), Washington: APPI Press. Lewis-Fernández, R.L., Aggarwal, N.K. & Kirmayer, L. J. (2015). Introduction. In: Lewis-Fernandez, R., Aggarwal, N.K., Hinton, L., Hinton, D. & Kirmayer, L.J. (Eds.) DSM-5 Handbook on the Cultural Formulation Interview (pp. xxvii-xxxiv), Washington: APPI Press. Kirmayer, L. J., Lemelson, R. & Cummings, C.A. (Eds.) (2015). Re-visioning Psychiatry: Cultural Phenomenology, Critical Neuroscience and Global Mental Health, New York: Cambridge University Press. Lewis-Fernandez, R., Aggarwal, N., Hinton, L., Hinton, D. & Kirmayer, L. J. (Eds.) (2015). Handbook for the DSM-5 Cultural Formulation, Washington: APPI Press. Kirmayer, L. J. (2014). Wrestling with the angels of history: Memory, symptom, and intervention. In: A. Hinton & D. Hinton (eds.) Genocide and Mass Violence: Memory, Symptom, and Recovery (pp. 388-420). New York: Cambridge University Press. Kirmayer, L. J. (2014). Critical psychiatry in Canada. In: R. Moodley & M. Ocampo (Eds.) Critical Psychiatry and Psychology: Exploring the work of Suman Fernando in Clinical Practice (pp. 170-181). London: Routledge. Kirmayer, L. J. (2014). Medicines of the Imagination: Cultural Phenomenology, Medical Pluralism and the Persistence of Mind-Body Dualism. In H. Naraindas, J. Quack & W. S. Sax (Eds. ), Asymmetrical Conversations: Contestations, Circumventions and the Blurring of Therapeutic Boundaries (pp. 26-55). Oxford: Berghahn Books. Kirmayer, L.J., Rousseau, C., Jarvis, G.E. & Guzder, J. (2014). The cultural context of clinical assessment. In: Tasman, A., & Kay. J. (Eds.) The Psychiatric Interview: Evaluation and Diagnosis, (pp. 47-63), New York: John Wiley & Sons. Kirmayer, L. J., & Swartz, L. (2013). Culture and global mental health. In V. Patel, M. Prince, A. Cohen & H. Minas (Eds. ), Global Mental Health: Principles and Practice. New York: Oxford University Press. Kirmayer, L. J., & Gold, I. (2012). Re-socializing psychiatry: Critical neuroscience and the limits of reductionism. In S. Choudhury & J. Slaby (Eds. ), Critical Neuroscience: A Handbook of the Social and Cultural Contexts of Neuroscience. Oxford: Blackwell. Kirmayer, L. J., Dandeneau, S., Marshall, E., Phillips, M. K., & Williamson, K. J. (2012). Toward an ecology of stories: Indigenous perspectives on resilience. In M. Ungar (Ed. ), The Social Ecology of Resilience (pp. 399-414). New York: Springer. Kirmayer, L. J. (2012). Culture and context in human rights. In M. Dudley, D. Silove & F. Gale (Eds. ), Mental Health and Human Rights: Vision, Praxis and Courage (pp. 95-112). Oxford: Oxford University Press. Kirmayer, L. J. (2012). The future of critical neuroscience. In S. Choudhury & J. Slaby (Eds. ), Critical Neuroscience: A Handbook of the Social and Cultural Contexts of Neuroscience (pp. 367-383). Oxford: Blackwell. Adeponle, A. B., Whitley, R., & Kirmayer, L. J. (2012). Cultural contexts and constructions of recovery. In A. Rudnick (Ed. ), Recovery of People with Mental Illness: Philosophical and Related Perspectives (pp. 109-132). New York: Oxford University Press. Kirmayer, L. J. (2012). Culture and context in human rights. In M. Dudley, D. Silove & F. Gale (Eds. ), Mental Health and Human Rights: Vision, Praxis and Courage (pp. 109-126). Oxford: Oxford University Press. Kirmayer, L. J., Dandeneau, S., Marshall, E., Phillips, M. K., & Williamson, K. J. (2012). Toward an ecology of stories: Indigenous perspectives on resilience. . In M. Ungar (Ed. ), The Social Ecology of Resilience (pp. 399-414). New York: Springer. Williamson, K. J., & Kirmayer, L. J. (2010). Inuit ways of knowing: Cosmocentrism and the role of teasing in childrearing. In C. Worthman, P. Plotsky, D. S. Schechter & C. Cummings (Eds. ), Formative Experiences: The Interaction of Caregiving, Culture, and Developmental Psychobiology (pp. 299-307). New York: Cambridge University Press. Gone, J. P., & Kirmayer, L. J. (2010). On the wisdom of considering culture and context in psychopathology. In T. Millon, R. F. Krueger & E. Simonsen (Eds. ), Contemporary Directions in Psychopathology: Scientific Foundations of the DSM-V and ICD-11 (pp. 72-96). New York: Guilford. Kirmayer, L. J., & Sartorius, N. (2009). Cultural models and somatic syndromes. In J. E. Dimsdale, V. Patel, Y. Xin, A. Kleinman, P. J. Sirovatka & D. A. Regier (Eds. ), Somatic Presentations of Mental Disorders: Refining the Research Agenda for DSM-V (pp. 23-46). Washington: American Psychiatric Press. Kirmayer, L. J., & Blake, C. (2009). Theoretical perspectives on the cross-cultural study of panic disorder. In D. Hinton & B. J. Good (Eds. ), Culture and Panic Disorder (pp. 35-56). Stanford: Stanford University Press. Kirmayer, L. J., Rousseau, C., Jarvis, G. E., & Guzder, J. (2008). The cultural context of clinical assessment. In A. Tasman, M. Maj, M. B. First, J. Kay & J. Lieberman (Eds. ), Psychiatry (3 ed., pp. 54-66). New York: John Wiley & Sons. Kirmayer, L. J., & Valaskakis, G. G. (Eds.). (2008). Healing Traditions: The Mental Health of Aboriginal Peoples in Canada. Vancouver: University of British Columbia Press. Kirmayer, L. J. (2007). Cultural psychiatry in historical perspective. In D. Bhugra & K. Bhui (Eds. ), Textbook of Cultural Psychiatry (pp. 3-19). Cambridge: Cambridge University Press. Kirmayer, L. J. (2007). Failures of imagination: The refugee's predicament. In L. J. Kirmayer, R. Lemelson & M. Barad (Eds. ), Understanding Trauma: Biological, Psychological and Cultural Perspectives (pp. 363-381). New York: Cambridge University Press. Kirmayer, L. J. (2007). Foreword. In B. Drozdek & J. P. Wilson (Eds. ), Voices of Trauma: Treating Psychological Trauma Across Cultures (pp. v-vii). New York: Springer. Kirmayer, L. J. (2007). On the cultural mediation of pain. In K. Shelemay & S. Coakley (Eds. ), Pain and Its Transformations: The Interface of Biology and Culture (pp. 363-401). Cambridge: Harvard University Press. Kirmayer, L. J., Brass, G. M., Holton, T. L., Paul, K., Simpson, C., & Tait, C. L. (2007). Suicide Among Aboriginal Peoples in Canada. Ottawa: Aboriginal Healing Foundation. Kirmayer, L. J., Burgos, G., Ryder, A., Thombs, B. D., Zelkowitz, P., Narasiah, L., et al. (2007). Clinical guidelines for primary care prevention and treatment of depression among immigrants and refugees in Canada: Background paper for the Public Health Agency of Canada. Montreal: Culture and Mental Health Research Unit. Kirmayer, L. J., Lemelson, R., & Barad, M. (2007). Introduction: Inscribing trauma in culture, brain, and body. In L. J. Kirmayer, R. Lemelson & M. Barad (Eds. ), Understanding Trauma: Biological, Psychological and Cultural Perspectives (pp. 1-20). New York: Cambridge University Press. Kirmayer, L. J., Lemelson, R., & Barad, M. (2007). Epilogue: Trauma and the vicissitudes of interdisciplinary integration. In L. J. Kirmayer, R. Lemelson & M. Barad (Eds. ), Understanding Trauma: Biological, Psychological and Cultural Perspectives (pp. 475-489). New York: Cambridge University Press. Kirmayer, L. J., & Looper, K. J. (2007). Somatoform disorders. In M. Hersen, S. Turner & D. Beidel (Eds. ), Adult Psychopathology. New York: John Wiley & Sons. Kirmayer, L. J., & Paul, K. (2007). Mental health and social support. In E. Dewailly (Ed. ), Inuit Health Survey. Quebec: Nassivik. Kirmayer, L. J., & Jarvis, G. E. (2005). Depression across cultures. In D. Stein, A. Schatzberg & D. Kupfer (Eds. ), Textbook of Mood Disorders (pp. 611-629). Washington: American Psychiatric Press. Kirmayer, L. J. (2004). The sound of one hand clapping: Listening to Prozac in Japan. In C. Elliott & T. Chambers (Eds. ), Prozac as a Way of Life. Chapel Hill: University of North Carolina Press (pp. 164-193). Kirmayer, L. J., Corin, E., & Jarvis, G. E. (2004). Inside knowledge: Cultural constructions of insight in psychosis. In X. F. Amador & A. S. David (Eds. ), Insight in Psychosis 2nd Ed. New York: Oxford University Press (pp. 197-229). Kirmayer, L. J. (2003). Reflections on embodiment. In J. Wilce (ed. ), Social Lives of Immune Systems. New York: Routledge. Kirmayer, L. J., Boothroyd, L. J., Tanner, A., Adelson, N., Robinson, E., & Oblin, C. (2003). Psychological distress among the Cree of James Bay. In P. Boss (Ed. ), Family Stress: Classic and Contemporary Readings. Thousand Oaks, CA: Sage(pp. 249-264). Kirmayer, L. J., Looper, K. J., & Taillefer, S. (2003). Somatoform disorders. In S. Turner & M. Hersen (Eds. ), Adult Psychopathology 4th Ed . New York: John Wiley & Sons (pp. 420-475).